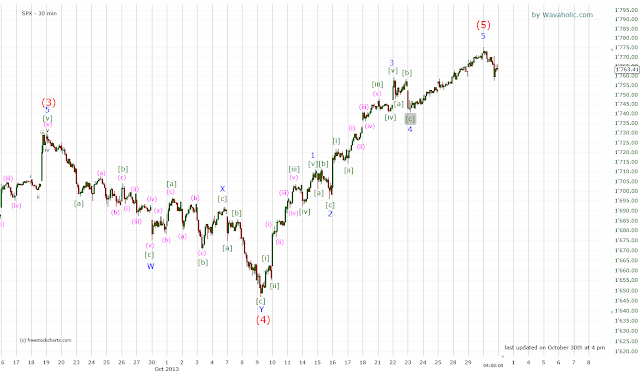 It looks like we have completed five waves from 1650. If so, we should see correction now, at least short-term. Potential targets are 1730 and 1740. Until we decline below 1757 the trend is still up though.